McGee favored the left side of the field strongly the entire second quarter. See for yourself. If you need any help in understanding them try checking out the FAQs. For what its worth follow me on Twitter. The "Morning After" column after the final preseason game is all about gathering all the information that we have and constructing the final roster. That is my mission this morning. Trying to predict an NFL roster cuts requires a major ingredient for accuracy sake that is never readily available. That is being able to read the mind of the guys in that war room who are arguing for or against a certain player making the team. I really enjoy this exercise of trying to find the final 53, but it is a highly subjective contest, like predicting the winner of a art or cooking contest. Unless you fully understand the tastes and opinions of the judges or decision makers, you are not on the right path. It is not necessarily the best 53 player. It is the best 53 according to Jerry Jones, Stephen Jones, Jason Garrett, Tom Ciskowski and any other voices at Valley Ranch who have a little decision-making leverage (Rob Ryan). So, as I watched the practices, scrimmage, and pre-season games, that becomes the challenge. The easy part is identifying how many players they are likely to take at a given position, pick what you perceive to be the best players at that position, and cutting everyone else. But, we know it is not that easy. We have to factor in other ideas. Age, salary, potential, rare traits, and things like eligibility to play on the practice squad. You must get down to 53, but the Injured Reserve and Physically Unable To Peform lists also help you to massage that number without exposing a given player to the rest of the league (like the elected to do with Bill Nagy a few weeks back). Today, I want to take one final run at the final roster and briefly discuss each player that is on the fence for the roster. As is the case every year, there are some easy cuts and some very difficult ones. But, most important thing to remember is that I can certainly not predict what is going on inside Jerry Jones' head. If I could, I would have told him not to do the Roy Williams trade or to agree to the Papa John's rap commercial. It is also worth noting that every year, but this year in particular, the Cowboys are likely looking at cuts from around the league to crack the Cowboys final roster. That means, the final roster (By 8pm Friday night) will not be the final roster. A guy could make the 53, only to be replaced by Sunday or Monday. It happens every year. I anticipate the Cowboys will sign someone else's cut offensive tackle over the weekend, but there is no way to predict that. Sources: Archer 2007 , Archer 2008 , MacMahon 2009, Archer 2010, and Watkins 2011. Yesterday, I identified 32 players as guys who had already made the team. As opposed to discussing obvious choices, let's just all agree that there is virtually no chance the following players are not on the final Cowboys roster. They are: D Bryant, M Austin, T Smith, N Livings, P Costa, M Bernadeau, D Free, J Witten, T Romo, L Vickers, D Murray, J Phillips, J Hanna, K Orton, and F Jones on offense. J Ratliff, J Hatcher, A Spencer, S Lee, D Ware, B Carr, B Church, G Sensabaugh, M Claiborne, T Crawford, V Butler, B Carter, O Scandrick, and S Lissemore. And 3 specialists. C Jones, D Bailey and LP Ladouceur. Those 32 make the team without question, in my estimation. That leaves 21 jobs on the line from 43 players. #33 - Kevin Ogletree: He has done enough to make the squad as a versatile WR who has built up some trust. It is still a big year from him and he could fall out of favor in just a few weeks, but for now, I don't see a scenario under which he is not on the roster. #34 - Dwayne Harris: Similarly, Harris offers versatility, special teams contributions, and enough plays made from the slot and the outside to suggest that he is comfortably on the roster. #35 - Jeremy Parnell: I am almost to the point on Parnell that I think he is ready to spot start a few games if injuries happen. I think he has proven to be a shrewd signing and a player they extended on a nice number through 2014 as a swing tackle who will dress and be active every game. #36 - Mike Jenkins: There is no reason not to keep Jenkins around unless you get a great offer. Corners get injured. To have a reserve ready who has this many starts under his belt is a rare luxury. Alan Ball and Bryan McCann played significant snaps last season and the Cowboys are actually prepared to survive injuries this year at corner. Also, dime defense is a bigger and bigger unit in the NFL these days. #37 - Dan Conner: He has not blown anyone away with his camp, but I assume his bonus and his resume assures him a spot. He also looks like a guy who will spend some time on the kickoff and punt teams as time goes on. If Bruce Carter doesn't take Conner's spot away soon, that will tell us more about Carter. Conner should be fine, but we have seen that teams will attack him through the air and try to isolate him. He looks solid, but I have my questions about how much better things will be with him over James and Brooking. #38 - Danny McCray: He is the modern day Sam Hurd (on the field) in that he will be a special teams captain and hold that unit together. He also has a knack for being around the ball when he is put on the field in the big nickel (5 DBs but 3 safeties) and can pull off some LB when he needs to. Versatility and trust-worthy are two attributes that make this team. McCray is safe with ease. #39 - Josh Brent: Can't teach size. The Cowboys want more impact from Brent, but big guys require patience. He has a chance to be overtaken by Lissemore on the nose and even Callaway, but for now, they like his upside and youth. #40 - Mario Butler: The surprise of camp for me. I had little regard for his courage, physical traits, and nose for the ball a month ago. Now, I am comfortable with him as a 4th corner if Jenkins leaves. Very nice find. #41 - Alex Albright: Again, versatility and trust-worthy. A guy who plays on all special teams and a guy who can play inside and outside LB. Another nice job by the personnel department to find Alex. #42 - Mana Silva: This guy has emerged out of nowhere. Silva was not on my radar at all until Matt Johnson's train never left the depot. But, he is just the type of guy who can play on all special teams and appears to have some upside as a deep safety. I like what I have seen and continue to wish to see more. It is possible the Cowboys have stumbled upon something nice here. #43 - Ronald Leary: Leary makes the team as a developmental interior offensive line guy, but I must confess that he has been a pretty big disappointment so far. This idea that he was a ready-made NFL guard just isn't true. He is constantly being beat at the line and even turned around in some scenarios. His bonus was large and we must be patient with big guys, but I don't see much in 2012 to plan on. He is the first of the "will make the 53 but don't plan on seeing him active much" group. #44 - Orie Lemon: I think he makes the team as a special teams pillar. Dependable and can play inside. #45 - Cole Beasley: I concede that I didn't see this as a possibility in July, but now as I predict what the Cowboys are thinking, I just don't see Jerry and Stephen allowing his weaknesses to deter them. Not sure where this leads, but he will get his chance to make an impact in Week 1. Quite a story of defying odds here. #46 - Kenyon Coleman: As I have stated over and over, I think either Coleman or Spears is done here. I also concede that Spears is more likely to stay if contracts or age are the difference, but I think Coleman is better at the job of "early down run stuffing". So, I don't have a ton of confidence in this pick, but I am going to go with football over dollars. And if plays over cap hits wins, it is Coleman. But, Spears may survive on being younger and having more guaranteed money. #47 - Daniel Loper: This one could also be iffy, but I think Loper is a better football player than Derrick Dockery. If I dress 7 or 8 on game day, I think Loper is more likely to fill in for an injured guard and do fine. They both are veterans, so both would make $825,000 if they made the team. Which one do you like more to dress every game? For me, it is Loper. But, I concede that Jerry talks about Dockery more. #48 - Adrian Hamilton: Controversial, but if a LBs best attribute is pass rushing, I think you owe it to yourself to teach him special teams. He may be inactive at first, but I have no confidence he could sneak through to the practice squad. You must protect him if you think he has anything, and I belive he has shown enough to invest in. However, when things get tight, I do admit that his spot will be looked at very carefully. #49 - David Arkin: Here is a player that I would not keep due to obvious concerns with strength. However, they invested a 4th in him and have built at least some confidence that he could play center in a pinch. I just don't see him ever being much at guard. That being said, their candidates at center if Costa gets hurt again is a very, very short list. On that alone, I think Arkin is safe for now. #50 - Phillip Tanner: He is useful as a 3rd RB and as a special teams guy. I think he made it, despite missing plenty of preseason action. #51 - Kyle Wilbur: Despite his injury, I think you owe it to yourself to protect him and add another quality OLB prospect to your pile. He makes my team. #52 - Danny Coale: Again, I am going to trust my scouts who loved him on draft day. He has been hurt, but he also has credibility based on 4 years at Virginia Tech and a resume of being a valuable piece. It has been a tough start, but I wouldn't throw the baby out with the bath water. He makes it over Andre Holmes for now, by an eyelash. #53 - Shaun Chapas: This is the guy in biggest jeopardy on the waiver wire. If the Cowboys find something they like more that comes along, then Chapas will be first voted off the island, I think. Otherwise, he is another trustworthy special teams piece on game-day. That is the 53 man roster. To Injured Reserve/PUP - Matt Johnson: I believe Johnson will be retained and basically red-shirted for 2012. He has too much to offer to expose him to the league yet. #54 - Andre Holmes: This is not an easy cut, but I am already keeping 6 WRs and Holmes is the one who Beasley beat out. This violates every rule of scouting due to Holmes speed, height, and flashes of sensational play, but consistency and dependability have bitten him. Practice Squad? #55 - Jamize Olawale: Could possibly take Chapas' job, but I don't think he did enough on special teams to convince the Cowboys to take a chance. Definitely a practice squad candidate. #56 - Rob Callaway: I wanted to keep Big Rob. I like what he has, but I think it comes down to Callaway or Brent. I think with Lissemore, they won't keep both. And, Brent was the guy who had to be unseated. #57 - Lance Dunbar: Useful piece, just can't keep another undersized player on my 53. Those guys who cannot play special teams but also have no role on your offense cannot sit unused on your active roster. Practice Squad. #58 - Marcus Spears: Good locker-room guy and respected team-mate. But, there is no justification of the $2 million salary that I can detect. #59 - Clifton Geathers: I see the amazing frame. I don't see plays that go with it. They have shown patience here and I think cutting bait is the proper move. #60 - Ben Bass: Useful prospect who might make it to the practice squad for now. #61 - Tim Benford: He has something, but there is no place for him. Practice Squad candidate. The rest are far easier cuts for me: S Hakim, J Adams, H Gunn, P McQuistan, D Dockery, A Szczerba, S McGee, R Carpenter, B Atkins, L Smith, A Owusu-Ansah, E Whitley, T Williams. Of these, I think Carpenter and Williams might hang around for the practice squad, too. Noteworthy of the above group is that Owusu Ansah and McQuistan have both been brought back for another look after being released and their play in preseason just confirmed what the Cowboys saw when they cut them loose last time. So, that is what I came up with. Odds are very good that I will not predict the Cowboys thinking accurately, but it is fun to try. By position, I kept 2 QB, 5 RB, 3 TE, 6 WR, 9 OL, 6 DL, 10 LB, 9 DB, and 3 specialists. Admittedly, 10 LBs seems awful thick, so perhaps a trade could happen from that group because they all have value. Also, 6 DL is a bit light, so a Callaway for a LB swap (Lemon or Hamilton) is not out of the question, either. And Chapas might only be around until they take the best available tackle off waivers. Feel free to comment below or Email me at sturm1310@me.com to take issue. Breaking Bad Talk Ep 7 Aug 28, 2012 - Bob and Dan break down this penultimate episode from this summer's Breaking Bad arc and talk about Walt's big idea so that everyone wins, how he deals with Mike and where does his relationship with Jesse go. 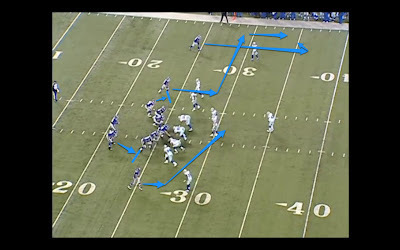 The Following is the 11th and final entry in an 11-part weekly series throughout the summer that will focus on the eleven plays that shaped 2011 for the Dallas Cowboys. Every game, about 130 actual plays happen and over the course of a season that number can exceed 2,000. But, we have selected 11 and will pick one each week and break it down from standpoint of "X's and O's" and see what we can learn looking back. The plays are not ranked, simply presented as the season unfolded. We hope you enjoy. When the season comes down to one night, you wish there was just one play that stuck in your mind 9 months later. Unfortunately, this scenario has unfolded a few times in the last several years - Week 17 match-ups involving a divisional opponent on the road for all of the marbles - and neither of them turned out particularly well. This 2011 finale was not nearly as bad a trouncing as the 2008 affair in Philadelphia, but in a match-up where it is win or go home, well, the Cowboys went home on both occasions. Unlike the play in the home match-up against the Giants that jumped off the page, this game was a series of frustrations. And unfortunately, to many fans of the Dallas Cowboys, this will be the game that will summarize the end of the Terence Newman tenure in Dallas. Newman, the 5th pick of the 2003 NFL Draft, was a reasonably solid cornerback for the Cowboys for most of his years in town. Trouble is, he was always paid as the best corners in the NFL with a 6 year/$18m entry contract and then a 6/$50m extension signed in 2008. He did not see the final 3 years and $21m on that 2nd deal, but still made nearly $50 million as a Cowboy. And as a player who was older than most when he was drafted (he was 25 years old when he played his 1st game in the NFL) and his speed started to diminish causing the horrible cycle of one's demise. First the wheels go, then the confidence goes to compensate for the wheels. From there, it is all "off and soft" coverage. And when the confidence goes in the NFL, it is all but over - especially on a squad that doesn't have safeties who can bail you out or offer much support nor a pass rush that can prop you up. And the Cowboys of 2010 and 2011 were not getting much safety play to say the least and too little pressure without a blitz. So, here is one game to win the division. December has fallen apart, but with a key gut-check win in New York, all will be forgiven and the Cowboys will host a playoff game in 1 week's time. 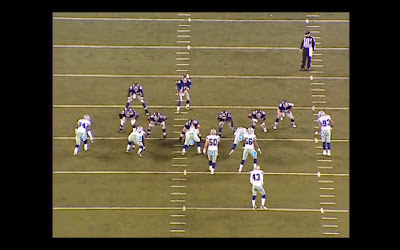 From the moment the game began, it was pretty clear that the offensive line of the Cowboys was overmatched. Not that injuries were the only reason, but Montrae Holland did not play forcing Derrick Dockery into duty and then Kyle Kosier left with injury pushing Kevin Kowalski into the game, too. It was condition critical from the opening kick for the OL to hold off a Giants DL that got 6 sacks, but looked likely to get 6 more. If the team was going to be able to compete, the defense would have to win the game. And they were not only beaten, they were demoralized. And Newman was on top of the list of Cowboys' suspects all night long. 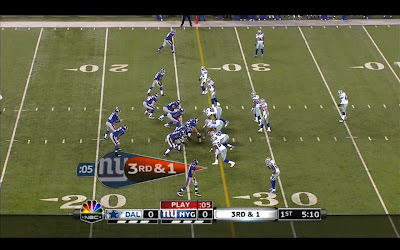 Moments before the most memorable play, the Cowboys had the Giants pinned in deep at their own 5 yard-line facing a 3rd Down and 9 yards to go. The Giants were willing to concede a punt and were simply dumping a ball to Bear Pascoe in the flat to get a few more yards for the punter. Instead, with Newman meeting Pascoe 5 yards in front of the marker, Newman bailed out and went low for the legs of the plodding tight end. Pascoe, to the delight of the crowd hurdled Newman and ran easily for the 1st Down. Later in the half, fullback Henry Hynoski would also want a 1st Down more than Newman would want to stop him. Was Newman hurt? Most likely. It seemed that Newman was always dealing with some injury and it often hurt his play. But, for whatever reason, the Giants 2 least athletic skill position players on their offense took turns beating Newman on a crucial play on their first 3 Touchdown scoring drives of a game they led 21-0. But, the play in the middle of those two demoralizing moments was the one that many of you can see in your sleep. It is Newman getting beat for 75 yards by Victor Cruz for a rather easy Touchdown that opened the floodgates. The Play: 3-1-N26 (5:11) (Shotgun) E.Manning pass short left to V.Cruz for 74 yards, TOUCHDOWN. Personnel: It is worth noting that on 3rd and 1, the Giants remain in "12" personnel (1RB, 2TE, 2WR) rather than switching to the normal 3rd down personnel package for most teams which is "11" (1RB, 1TE, 3WR). THe explanation is because it is 3rd and short, but the result keeps the Cowboys in a base personnel package rather than switching to nickel by replacing a LB with an extra corner. 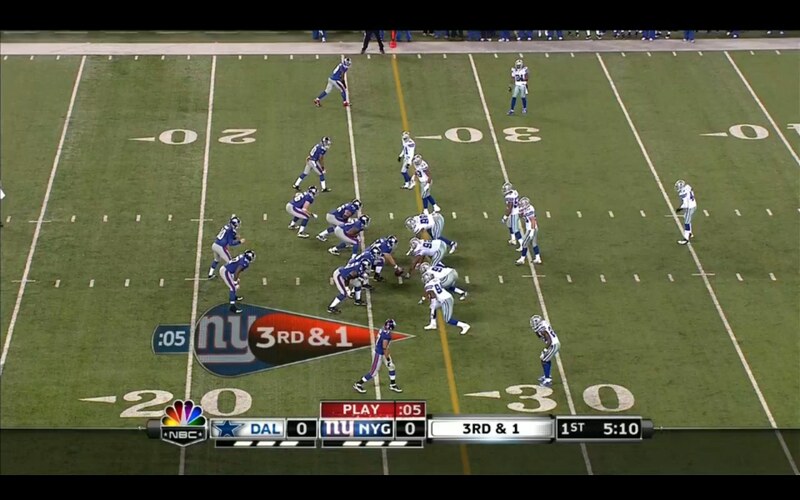 So, the Giants put on "12" personnel, the Cowboys leave just 4 DBs on the field, preparing for a 3rd and short run. Then the Giants do what is constantly done in this chess game of the NFL - they spread you out by deploying a TE, Travis Beckum wide right against the Cowboys safety Abram Elam. Then, they put both WRs to the left, making both Cowboys' corners man-up with Hakeem Nicks (Mike Jenkins) and Victor Cruz (Terence Newman). This means Newman is left to play the slot - Something that makes him extremely uncomfortable against a player like Cruz who feeds off the slot game. Just to be clear, if the Giants moved to customary "11" personnel in this spot, they know that the Cowboys would have Scandrick on Cruz. The Giants didn't want that. So that is why they used formation and not personnel to get the match-up they wanted. Let's look at the routes the Giants have on for this 3rd Down. It is pretty clear that their objective is simply to move the chains, not look for a big play. But, this might be one of the many cases where people (including high-ranking people inside Valley Ranch) accuse Rob Ryan of getting too cute. 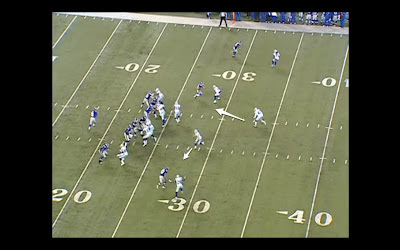 If a exotic defensive idea works and Eli throws an easy interception, it is a brilliant call. But, if it leads to a play that starts an avalanche, then your DC got too cute. The Giants want Beckum to run a slant, Cruz in the slot to run a short out to the chains, and Nicks wide left to run a 10 yard stop. Very basic stuff. Here is the Cowboys pre-snap plan. They are showing a single-high safety in a Cover 1 posture. But, their plan is to show that and then do something completely different. The Cowboys plan is to have Sean Lee jump Beckum's slant and for Sensabaugh to charge up the field and blow up a slant to Cruz. They want Newman to play outside leverage (line up over the receiver's outside shoulder, forcing him to want to run inside) which will force Cruz to option to an inside route (likely the slant). When this happens, the Cowboys will have 2 men on each quick route that Eli is likely to throw and the Cowboys should be in a position to blow either up. 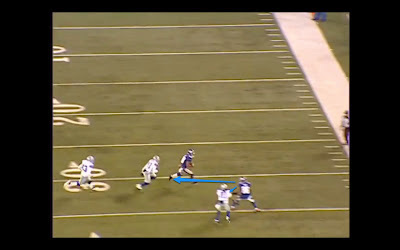 At the snap in Picture #3, we already see that Newman lost leverage. Newman doesn't get lined up quick enough and Cruz crosses his face on the route with ease to the outside, and now Sensabaugh's gamble leaves him up the field with nobody to defend. Meanwhile, if any pass is completed, the Cowboys have no safeties deep. They are essentially playing a Cover 0, which means that the slightest completion can go for a Touchdown if the first tackle is broken. Picture #4 shows us how badly Newman lost leverage, as now Cruz has a step on him to the sideline. 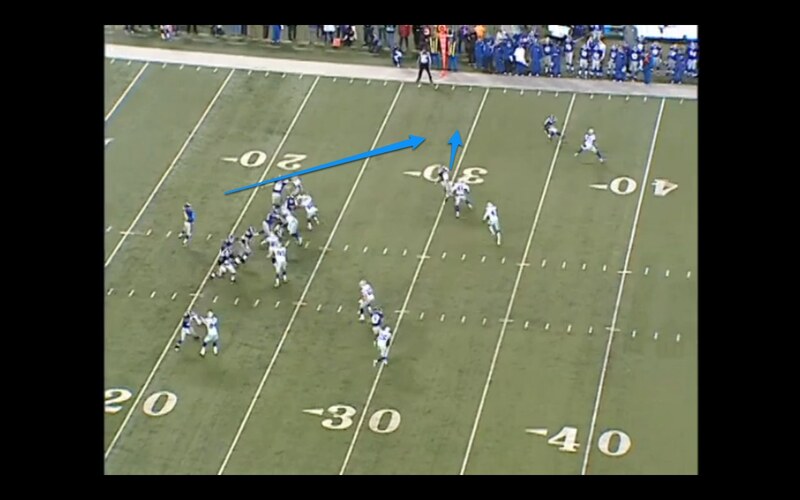 Eli sees this develop and makes a quick read to Cruz past the 1st Down marker. The Giants left both a RB and a TE in to block, so there is no pressure whatsoever with 7-man protection. Here is the presnap from the endzone in Picture #5. You see the Cowboys have the 3-4 base defensive look, but they are dropping Lee into Beckum's slant and Ware is not really rushing, but rather playing off the edge receiver and if he stays in to protect, Ware rushes, but if he releases, #94 must go with him. But, also look at Sensabaugh. If this is an ambush, he sprung it too early. His depth of 10 yards indicates to Eli and Cruz that something is up. He must be blitzing, because his normal depth is much deeper than that. In a world where Cruz has option routes all day (where his route is determined by his read of the coverage), it would be easy for the QB and WR to be on the same page and know how to counter this defensive look. From there, if Newman is not cheating to the sideline with outside leverage, then the Giants have a distinct advantage. Picture #6 shows us the precise moment where Eli is throwing the ball. Look how out of position this play has left Sensabaugh. There is nobody behind him and he is in full sprint to try to catch the play. But, if Cruz has a 5 yard advantage on Sensabaugh and a 2 yard advantage on Newman, neither of those players are going to catch him. 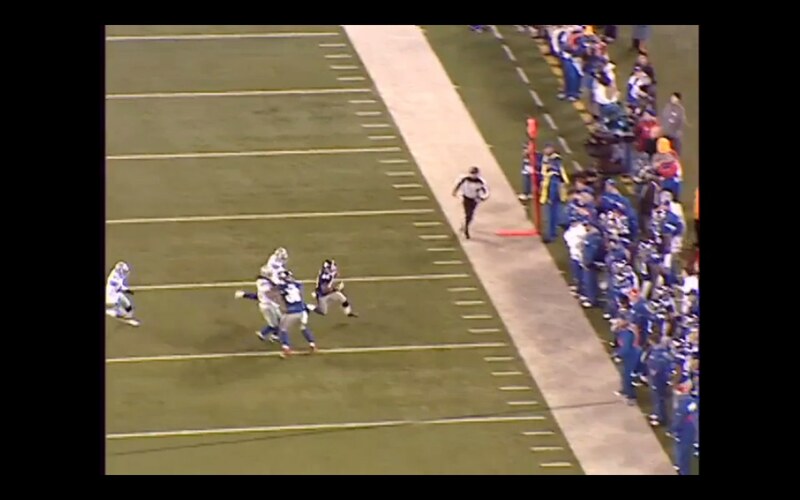 Now the difference between a 4 yard gain and a 74 yard Touchdown is the roll of Hakeem Nicks. Nicks has Jenkins on the outside and once the 1st Down is gained, if Cruz can stay in bounds and turn it up field, Nicks might be able to spring him. He has a choice to either put a "ear-hole" shot on Newman or simply stay with Jenkins as sort of a basketball pick. He chooses to stay with Jenkins and box him out and Cruz is so fast that he just continues north and nobody came close to catching him. Simply too easy the rest of the way. The summary is this: The Cowboys schemed themselves into a bad spot here. They perhaps were frustrated because a few snaps earlier, they had the Giants pinned in deep and Newman was abused by Pascoe. 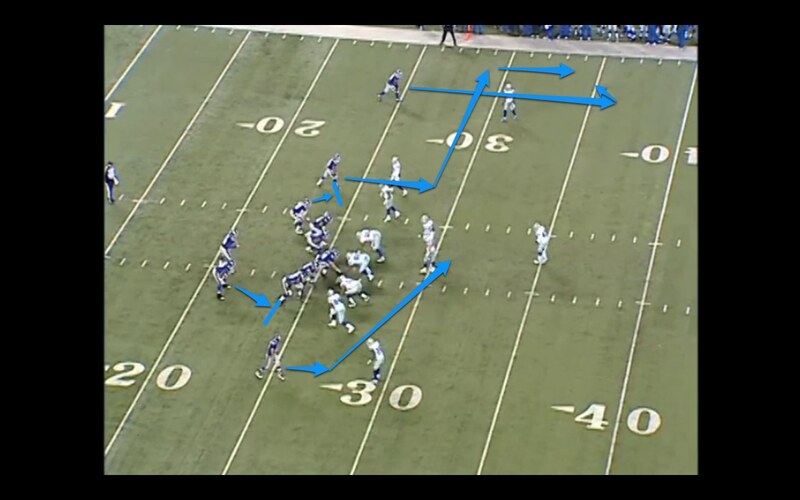 Then, Ryan rolled the dice with a very risky decision to basically go Cover 0 on 3rd and 1. Was that impatience and frustration talking? If Scandrick is on Cruz, does the same thing happen? Clearly, this game demonstrated why Newman was overdue to be replaced. He was making premium dollars and was a liability in coverage in the biggest game of the season. Brandon Carr and Morris Claiborne were major investments and the genesis of those expenditures can be traced back to games like this one. The team ended the year with a 8-8 record and a trail of tears that were both frustrating and inspired an offseason of moves to try to get the mix correct. In 7 days, we will see how that has worked. 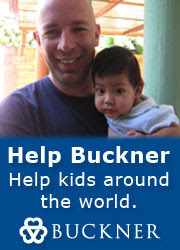 August 3, 2012 - Reports indicate that Dez has hired Eugene Parker to replace Rosenhaus. August 21, 2012 - Reports circulate about Drew Rosenhaus offering cash on draft night. August 27, 2012 - Dez agrees to a new code of conduct and claims to be paying for it. This has clearly been a preseason where there has been a number of annoying news stories. Nothing that so far has threatened to destroy the season or anything, but certainly the Cowboys have had their share of regulars tweak hamstrings and miss weeks of valuable camp time. The lacerated spleen of Jason Witten is the leader in the clubhouse for most serious injury to a significant piece of the team, and at this juncture, the medical staff is leading us to believe that this is something that will not linger all year. If he doesn't rush his comeback for Week 1, the premise being offered is that he will be at full strength the remaining 15 weeks of the season most likely. Beyond that, the injury demons have claimed a portion of the rookie class, as we may not know in 2012 what Matt Johnson or Danny Coale can do, and Kyle Wilbur has not had much luck, either. Caleb McSurdy will have to wait a year if he is ever to have his name known as well. So, what once was a promising draft class is now potentially down to the 1st, 3rd, and 6th rounders before the train even leaves the depot. That means that impact will be minimized, but the contributions of Mo Claiborne, Tyrone Crawford, and James Hanna all appear to be something that one can be excited about. Hanna in particular looks far more useful than even predicted, but time will tell on that front. There are still massive concerns about the offensive line, including the center position that looks extremely uncertain. Either you have the player who has never played in a regular season game and never performed a center/QB exchange in his football career starting at Giants Stadium in 9 days or you have a player who struggled last season returning to action for the first time since the Cowboys were defeated soundly at Giants Stadium last January 1st. Either way, the Giants are certainly rubbing their hands together with anticipation for whoever the Cowboys line up with in front of Tony Romo. Add to that the premise that the strike force of skill position targets that we once thought would be Miles Austin, Dez Bryant, and Jason Witten could morph at least partially in New York into Kevin Ogletree, Dwayne Harris, and John Phillips. But, one thing that seems to be clear as we head into 2012 should reassure most Cowboys fans that optimism is allowed and recommended as you hit the new year; You have one of the better Quarterbacks in the league. And in a league that is more and more about your level of Quarterback play, Romo gives Dallas a fighting chance to turn some heads this season. Now, some are ready to respond with the tired debates about playoff wins and choking in December, and that crowd reminds one in this election year to the pointless debates between Democrats and Republicans where the dialogue is never heard by the other side. Both sides are convinced that they are right and the other-side is insane. To that group, the group that ignores personal performance in a team game to simply shout that the Cowboys would be better if they had a better quarterback, well then you can either read my entire essay on the topic or go post on a message board your plans for getting Vince Young in here to save the day. 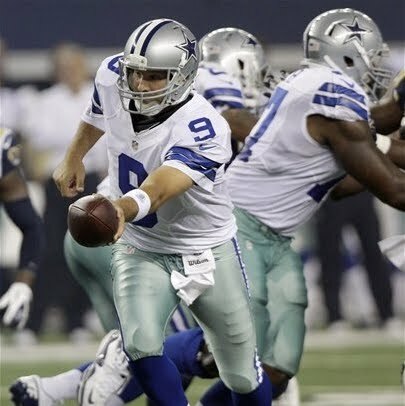 To the rest of you - perhaps those who have watched carefully at how his performance since his injured 2010 has been nothing short of fantastic - it should be reassuring to see how good Romo looked against the Rams and the idea that he appears to be sharp as a tack and more determined than ever to push the Cowboys as far as they can go. He became far more efficient in 2011, to a point where he had very few meltdown moments. Now, those 2 that jump right off the page - the Revis Interception and the Bobby Carpenter Pick 6 - were devastating, but if you can find a QB that didn't make a bad throw in 2011, you are better at watching football than I am. Sure, there are a few among the top group of QBs that you might rate higher, but the Cowboys are getting premium play from a premium position, and as they enter a much more difficult schedule in 2012, I am pretty comfortable with the man they have firing the ball around the yard. You know the drill. It is a league that is pushed together with a large pack in the middle with the 10-6/6-10 peloton. A great season from a QB can overcome a lot of issues. Perhaps, with a defense that has a far greater ability to make a play that could make a difference, a similar QB season from Romo could help this team find its way to the top of the NFC East. The biggest argument against this happening in 2012 is that Romo likely played his best season ever last year and this team won only 8 games with hardly a quality win the entire year. The best win was in Week 2 at San Francisco, and that was a game that when it was played, nobody thought the 49ers were on their way to hosting the NFC Championship Game. But, as you see Brandon Carr and Mo Claiborne at the other corner on Saturday night, with a defensive line that looks improved in the pass rush department, and then a healthy DeMarco Murray added to Romo's dynamite performance, you can squint and see the best-case scenario being a year where the Cowboys survive the difficult 4 out of 5 on the road stretch from October 14th to November 11th. At that point, through 9 games, the Cowboys will have 6 of their 8 road games behind them. If they can get out of that stretch at 5-4, then 10 or 11 wins is within reach. With Romo, this is possible. And, if they lose Romo for a few weeks, you would like to believe they now have a QB in Kyle Orton who can get them a 2-2 record during a month as the starter. Trust me, I still have many, many concerns. This team has a lot to stress about. There are many places where an injury can cause everything to unravel. But, you are solid at the most pivotal position on the field. The Cowboys have an elite QB. I measure that not in career playoff wins, but in the way he is playing at this point of his career compared to the competition in the league. Over the last 12 months, he is playing the position incredibly well. You can delude yourself into thinking that the Cowboys win 13 games last year if Drew Brees or Aaron Rodgers was the QB in Dallas, but I don't buy that. This team was 8-8 last year for a number of reasons. And since Brees doesn't play corner and Rodgers doesn't block Jason Pierre Paul, I will not subscribe to the lunacy that the QB held them back. Again, to some of you this is the worst thing that I have written. To the rest of you, you already agree with this premise. So, we might ask what the point was? It is simply to discuss the lead story of the 3rd preseason game. Romo is still Romo. In summary, in the preseason dress rehearsal, Romo again proved that he is sharp and prepared. Locked in and ready to lead. Is he on his way to finally being recognized for what he is - a top player at the most important position? The story will begin to unfold in about a week. And that 1st game will require Romo to be on his best form for Dallas to have a chance in what could be their most difficult game of the year. And even then, as we saw last year, it still might not be enough. But, for all of the headaches on this roster right now, knowing your QB is ready to have a great year should offer something for a mood swing of optimism. Week 3 of preseason came and went, but the passing charts are here forever. Before you say anything, I know he was 0 for 5, but since these charts are more about the patterns of the QB I included his on completion that was voided thanks to a penalty. Also I kind of felt bad for him. Let's get back to responding to your emails and tweets for another week. I cannot promise we will have time to do one of these each week, but hopefully on Friday or Saturday, we can roll out a few responses before covering another game is upon us as we roll through another NFL season starring your Dallas Cowboys. Love your writing and analysis. I’ve got two questions which should both tee up nicely with your view of Cowboys football. I agree with you, and the Giants/Steelers, that the game is fairly simple and is won in the trenches. For some reason, the Cowboys seem to think that that the game is won on the outside with WRs & DBs. The novice would say that the Cowboys are just clueless, a premise I’ve shared on many occasions. But I have to give Garret, the Jones’, and the Scouts some more credit than that. We’ve heard both JJ & Ryan slobber over the Cowboys D-line, which has to be taken with a grain of salt. But I also saw a quote from Mike Mayock (a dude that sounds really smart) talk about the Cowboys’ SB quality D-line. My 1st question: now that you have closely analyzed the 2011 season, do you still believe that the Dallas D-line is substandard? On the other side of the equation, everyone agrees that the interior o-line last year was worthless. So the Cowboys made moves, albeit modest, to address the OG position in the offseason. For some reason, the center position was effectively ignored. My 2nd question: would it be possible to look at Costa’s performance from last year? Is it possible that he was improving enough throughout the season to convince the Cowboys that he could be an effective starter? Obviously, I’m trying comprehend Dallas’ offseason moves…. These are a few topics I feel very strongly about. There is no question in following this team that at times they have chosen to throw their resources at skill positions rather than in the trenches. The 2008 draft followed by the Roy Williams trade a few months later that not only further invested in skill positions, but did so at the expense of the 2009 draft continues to haunt this team's depth. That, in turn, caused them to allocate even more resources to trade up to get Dez Bryant. Meanwhile, the offensive and defensive lines eroded to the point of being among the weakest links on the roster. I have not heard Mike Mayock's views on the Cowboys defensive line. However, I would be shocked to hear anyone rank them among the NFL's elite. In their division alone I would see the overall DL groups in New York and Philadelphia as far superior. And I cannot imagine too many people would disagree with that point. However, I feel that going into the 2012 season, I am as optimistic about this group as I have been in years. Jay Ratliff is the constant, but now he has high-motor players with natural skills like Tyrone Crawford and Sean Lissemore joining a veteran like Jason Hatcher who appears to be breaking out before our eyes. Hopefully the days of Marcus Spears and Igor Olshansky just taking up space and not really impacting plays or freeing up space for LBs to fly in and make plays are behind us. I don't think Kenyon Coleman or Marcus Spears are locks to make the squad and that is a good thing. I have nothing against them, but the competition level has been so low around here for so long on the DL that the veterans have kept their jobs without being challenged by anyone behind them in the depth chart. It appears that situation is changing. It appears they have players who are young and explosive now in the group. Are Robert Callaway and Ben Bass in that group, too? We shall see on cutdown day, but I am excited about what they are building now. As for Costa and his room for improvement, I have gone to great lengths to point out his issues on the OL. He was not strong enough and that became a problem as the season wore on and as word got out to the league what the Cowboys issues were. Understand, when a defensive coaching staff sits in a meeting room they are asking two questions: What is the offense's greatest strength and what is the offense's greatest weakness? They want to game-plan to take away the strength and expose the weakness. 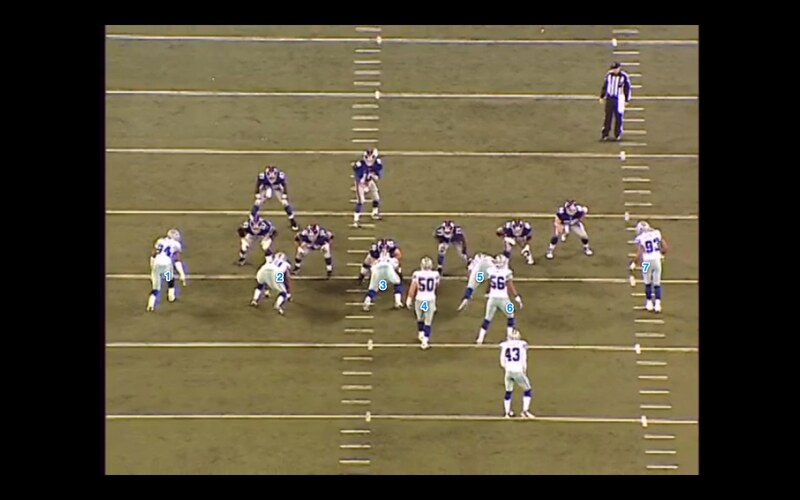 So, as 2011 went on, I believe the circle was right on the starting interior OL of the Cowboys. Costa was at the center of that target. He had strength issues, confidence issues, and recognition issues. And as the year came along, there was a ton of twisting, stunting, and blitzing right at Costa and his A-gaps. There is no sympathy in this league. If a guy is struggling, the opponent is now going to find a way to ambush the player with their best player. You might remember the stunt the Eagles pulled off that almost destroyed Romo early in Week 16 when Jason Babin stunted inside right at Costa. It wasn't pretty. Are the Cowboys better equipped this year to handle the challenges? We shall see. Everyone says he is very smart and very determined. They are confident he can handle the line calls and blitz assignments. And most of all, their confidence is higher because of 2 veteran guards who were signed to flank him and help with those A-gaps. We will wait and see before we declare it fixed. The Cowboys drafted Amendola, but then let him go - only to see him thrive now in St. Louis. In light of that, I can understand them drafting Harris. However, why do they take Beasely before they even see how Harris develops? Basically, while I like them both, I don't see them both making the roster. How many small guys can you carry? Nobody will trade for one of these guys, they'll just pick them up at cuts. Odds are they already knew that they'd be going with Holmes, Harris, Ogletree or a vet at cuts, so couldn't we have benefited more from taking a player a position of greater need? Say OL? Well, Dave, we must start with an overall view of how the NFL personnel system works. Both Amendola and Beasley are undrafted free agents. This year, every team goes to camp with 90 players. Given that 53 make the team, that means 37 do not for each of the 32 teams. That means 1,184 players will be cut during training camp alone in the NFL. That number is staggering and should demonstrate just how difficult it is to make a roster in any capacity. As an aside, I am prone to arguments on the radio show I work for (the Bob and Dan show, 12p-3p Weekdays, on Sportsradio 1310 the Ticket in Dallas). And this week, we started to discuss the fact that Bobby Carpenter appears to be on his way to making the New England Patriots roster. In fact, he could be their 4th linebacker. In most circles, Carpenter is certainly thought of as a bust for not living up to his level of expectation after his 1st round selection in the 2006 NFL Draft. And there is no question that when selected, the Cowboys were sure they were taking a safe pick who could start for them for many years at linebacker. He was a quality college player and had the bloodlines to say this may not be a superstar, but he will be a strong player for years. However, we all know that he is near the top of worst personnel moves in the last decade around here and his name is mud locally. That wasn't the argument. The debate was started when I made the claim that at some point, you would have to declare his career salvaged as he continues to make NFL rosters. Yes, his level of expectation was very high because some team or teams thought he was worthy of a Top 20 pick. But, when a guy is playing in the NFL for 7 seasons, that constitutes a nice career for anyone who hopes to play football for a living. If he can make it to the 10 year mark then I think there is no question. Donovan Lewis argued that he has stunk his whole career and therefore cannot be considered as having something to be proud of. Perhaps we were arguing 2 different things, but I hold to the idea that making a roster in the NFL is very, very difficult. To do it 10 years in a row suggests that whoever does it, they have put together a career to be proud of. Not Hall of Fame worthy nor Ring of Honor worthy. But to make 10 NFL teams constitutes a very nice accomplishment in my book. This may be a discussion that falls on deaf ears, but I think too often we like to marginalize things that are very impressive if you stop to think about 1,184 players being cut in the next 10 days. Anyway, back to Dave's question, remember that since Amendola and Beasley were undrafted, that made them automatic long-shots to make the roster. I think the term "camp bodies" would apply as they are usually there to make sure that during the grind of training camp, the league wants to make sure that even during times of mass injuries, the teams still have enough healthy bodies to run a successful camp practice. So, they allow teams to bring along more players than are actually needed. That is different than having a chance to earn a job, although some of these players do make their way through the cracks and into the mix to make the team. As you know, no teams has been happier with undrafted free agents than the Cowboys over the last decade. To find a franchise-leading Quarterback and a top receiver from that same bin of scraps that were passed over about 250 times in the draft is quite remarkable and frankly quite difficult. So, understand that they throw numbers at a given job. They did not spend a pick on Amendola. They spent a 6th rounder on Dwayne Harris. This is a resource used, but hardly a premium resource as the odds of a 6th rounder having an impact are still quite difficult for most to overcome. Then, this year, they invite Cole Beasley to compete for one of the many jobs as well. One thing you learn about the NFL is that there is always competition. These jobs are difficult to get and more difficult to keep. So, no, I don't think it is ever a bad idea to push Dwayne Harris and make him hold off competition at camp this year rather than offer the baseball mentality that preaches patience. In that sport, you may bring a guy along slowly through the minor leagues. In the NFL, you are either ready or you are unemployed. Every year. Every week. It is a very tough business. And that is why I think at some point, Bobby Carpenter deserves some credit for being a bust in 2006, but still a member of the league in 2012 and perhaps, beyond. I really enjoyed the Splash Play Series. My question; will you be tracking Splash Plays during the season? I hope you do. Yes, sir. I have plans of making Splash Plays part of the weekly breakdown for each game. On a normal Sunday game, the plan is to write the "Morning After" essay on Monday, continue our "Decoding Garrett" series on Tuesday, Examine the defense and the splash plays on Wednesday, study a X's and O's moment from the game on Thursday, and then end the week with a game plan/mailbag column on Friday or Saturday. At least, that is my goal before I realize that I cannot pull all of that off. But, I shall try. For those that missed it, I highly recommend you spend time on the Splash Play Series. Here they are: Part 1 - Part 2 - Part 3 - and - Part 4. Or, if you just want to see the database for all splash plays in 2011, click here for that. Newman’s pick - 1 splash play or two? I knew exactly what you meant by splash plays. We had them in high school but we received stars on a chart when we made them. On one play, I made 3. I tackled the RB five yards in the backfield, knocked the ball loose and then recovered the fumble. Coach said the only thing I could have done differently is scored a TD. I got one for the tackle for loss. I got one for causing the fumble. And one for recovering the fumble. I think I should have gotten two. The tackle and the strip were the same thing. The fumble recovery normally isn’t by the guy who brings the ball carrier to the ground and I did wrap him up and take him to the ground before jumping over on the ball. If someone scores on defense, is the score a 2nd splash play? You have to admit a pick-six or a fumble recovery for a TD is not the same as an interception or a fumble recovery. I totally agree, Kevin. I think I need to figure this part out a bit better. Perhaps we need to define a normal splash from a super splash or something. Thanks for bringing it up and I will try to designate that for 2012 improvements. Enjoy the St Louis game (assuming that one can enjoy a preseason game) and enjoy your weekend. August 27 - Clubs must reduce rosters to a maximum of 75 players on Active List prior to 4:00 p.m., New York time. August 31 - Roster cut-down to maximum of 53 players on Active/Inactive List prior to 9:00 p.m., New York time. Clubs may dress minimum of 43 and maximum of 46 players for each regular season and postseason game. September 1 - Claiming period for players placed on waivers at the final roster reduction will expire at 12:00 noon, New York time. Beginning at 12:00 noon, New York time, clubs may establish a Practice Squad of eight players by signing free agents who do not have an accrued season of free agency credit or who were on the 46-player Active List for less than nine regular season games during each of any Accrued Seasons. A player cannot participate on the Practice Squad for more than three seasons. Keeping in mind that the Cowboys have 2 more preseason games that are jammed close together tomorrow (Aug 25) and then next Wednesday (Aug 29), we quickly see that the pro personnel department is going to be plenty busy with the jobs of making cuts, predicting and planning for cuts from around the league, and building a practice squad all in the next 8 days time. There will be hundreds of transactions, and a good personnel department will be able to instantly hear a name that they missed out on in a previous draft that they can take a chance on and pull the trigger - at the expense of someone that fought hard to make this team in front of their eyes for the last 5 weeks. It is not an easy job or one that allows for a whole lot of time with the family this time of year. Your scouts are pouring over preseason film of games from around the league and comparing notes. It is not uncommon to find 2-3 pieces from other team's cuts that you like better than the 52nd and 53rd man in your own camp. And that is what makes these 53 man projections a bit silly (although I happily partake). A final 53 man roster is an absurd statement. There should never be a "final 53" man roster. In fact, as we have seen, the 53-man roster is completed, with players celebrating and calling home to report that they made it; Only to be informed 12 hours later that they have been released for a player the team just claimed from Jacksonville or Detroit. Unless a team is holding a Lombardi trophy, no roster is ever "final". And players can be happy to survive a cut, but the fact is that many players must go to work every day wondering if they will still be employed on Sunday (when another paycheck is earned). But, with all of that being said, I plan on offering a look at what I think the 53 man will be today and then in 1 week to see how well our eyeballs are seeing what the personnel department is seeing from camp and the preseason games. Clearly, the fact that I left California 2 weeks ago today will not help my projections from the work done in San Diego in the practices with the Chargers, but we will do the best we can. Sources: Archer 2008 , Archer 2007 , MacMahon 2009, Archer 2010, and Watkins 2011. Quarterbacks (2): Tony Romo, Kyle Orton - Rudy Carpenter is practice-squad eligible, and we should keep that top of mind. I don't see any reason to pay Orton what the Cowboys did and still to carry 3 QBs unless the 3rd is a prospect that really excites me. I do like Stephen McGee, but at this point of his career, with a contract needed soon if you like him, it sure looks like the end of the road is very near. Running Backs (4): DeMarco Murray, Felix Jones, Phillip Tanner, Lawrence Vickers - I keep looking for that 5th from this group, but so far I am not convinced. Shaun Chapas is in a ton of special teams in San Diego and Jamize Olawale is playing more and more, but I still am not sure that either are in. We need to take careful note of the special teams on Saturday Night again. Wide Receivers (6): Dez Bryant, Miles Austin, Andre Holmes, Dwayne Harris, Danny Coale, Kevin Ogletree - I realize after Cole Beasely put together a monster 4th Quarter in San Diego that he should be on this list, but I still am nost sure I am sold. Andre Holmes is playing on most of the special teams so I think he has the team made without even catching a pass. Danny Coale vs Cole Beasley is going to be the test for the final spot as I am now feeling like they will carry 6. So, does Beasley catch and pass Coale? Well, for 2,000 words on the topic, please make sure you read what I spent time on early this week right here. In the end, barring another injury setback to Coale, I will likely risk getting Beasley to the practice squad, as I think he is the most likely to not be claimed due to his prohibitive size and special teams. Perhaps a few months or a season on the practice squad can develop Beasley into a more sure thing on returns. However, all of this can still change in the next 8 days. Tight Ends (3): Jason Witten, John Phillips, James Hanna - I really liked seeing James Hanna on all of the special teams in San Diego. This is his way for now. He must be a good special teams soldier in year 1 and do what Phillips has done since 2009 and will continue to do - be a spine member of all 4 special teams. That was good news. Offensive Line (10): Tyron Smith, Doug Free, Nate Livings, Mackenzy Bernadeau, Phil Costa, Ronald Leary, Jermey Parnell, David Arkin, Daniel Loper, Kevin Kowalski - I no longer can buy the idea of Pat McQuistan making this squad. A big body is not enough to make this team. I recognize they need a 4th tackle, but I would rather take my chances finding one on the waiver wire. I am too heavy at guard in this cutdown, so I think Dockery is most likely to go with his veteran contract. Remember, Ronald Leary will likely make the squad given his hefty guaranteed money for an undrafted rookie. Kowalski is in the mix again and Loper looks ready now to make this squad. I really liked his work against the Chargers. Defensive Line (7): Jay Ratliff, Jason Hatcher, Kenyon Coleman, Sean Lissemore, Tyrone Crawford, Josh Brent, Marcus Spears - I am quite close to moving Robert Callaway to my 53, maybe at the expense of Marcus Spears. Let's watch another preseason game. But, I think I like Callaway and his huge body to make the team. I am having a hard time justifying Coleman and Spears. And, personally, I like Coleman better against the run. Salary-wise, they are close, with Coleman at $1.9m and Spears is at $2m, but the Spears cap hit will be more since they inexplicably gave him a 5-year deal last summer. I have no idea what possessed them on that one. Line Backers (9): DeMarcus Ware, Anthony Spencer, Sean Lee, Bruce Carter, Dan Conner, Victor Butler, Kyle Wilbur, Alex Albright, Adrian Hamilton - I will need to protect Wilbur from being claimed if I tried to sneak him through cuts. He wouldn't make it, so he makes the team despite being hurt. Hamilton's pass rush skills are impressive, so he makes the cut over Orie Lemon. However, if you read my piece on special teams from this week - which I hope you do - this is a case where Lemon could be one of those designated special teams spine members. Defensive Backs (9): Brandon Carr, Orlando Scandrick, Morris Claiborne, Mike Jenkins, Barry Church, Gerald Sensabaugh, Danny McCray, Matt Johnson, Mario Butler- Mario Butler made as strong a move forward as anyone did last Saturday night. He showed impressive closing speed and the willingness to risk his body to make strong tackle moves at the line of scrimmage. In open space, he still needs work, but Butler is showing that he deserves a job on this roster for his versatility at corner, safety, and most importantly can play in all special teams situations. I am now sold. Specialists (3): Dan Bailey, LP Ladouceur, Chris Jones - I have been told not to sleep on Charley Hughlett to catch LP Ladouceur in the deep snapper race. If all things are equal, LP makes $790k and Hughlett is at $390k, and on a deep snapper, that is a significant difference. Again, it is now poor logic to assume that someone makes the team "by default". If McQuistan is your 4th best tackle and you need to keep 4, you either like him or you don't. The San Diego game confirmed that he is just a guy. I tell my personnel department to find the best tackle that is about to be released and you claim him on September 1. Two more preseason games to go, but the clock is moving fast now. There is so little information out in the blogosphere about special teams for football fans to read and fully grasp the realities and concepts about what helps a team survive the catastrophes of a blunder. A team plays hard and executes a game plan against a tough opponents for 4 Quarters of war, but a blocked punt surrendered sabotaged all efforts and placed that game in the loss column. It happens all of the time and is one of the most stressful parts of a head coach's life. It happened to Norv Turner in 2010 with the San Diego Chargers after a 13-3 team from the previous year missed the playoffs and finished 9-7 largely because of blunders on their special teams. And, to many, those blunders happened because when it came time to pick the roster, not enough consideration was placed on having proper special teams players on your sideline. When you are picking a roster, it is much easier to do so without any regard to the special teams. Pick the best players who can help your offense and your defense. Then, grab a punter and a kicker and everyone will figure it out as we go, right? Well, the Chargers thought that and their promising season exploded. They are the most recent example of a team that was good enough being sabotaged, but the history books are littered with them. So, that is why, in this space, we like to be the rare media type that tracks this sort of information rather than the normal and generic phrase you will see in stories that says, "he is good on special teams" or he "contributes on special teams". That is vague and incomplete information. Let's actually figure out who is doing what. And to do so, I picked a game from last season to study. I picked Week 11 at Washington to examine. The best way to work our way through the vital nature of special teams was actually to deconstruct a game from a purely special teams standpoint. Then, as you look at the 53 man roster, you will see how the "Gameday 46" gets used in an actual game with real live situations, injuries, and adjustments on the fly. On this game in November, the Cowboys offense had 73 snaps (77 if you add the 4 plays nullified by penalties) and the Washington offense had 65. Additionally, there were 12 total punts and 11 total kickoffs in the game between the two teams. Also, 3 field goals were attempted and 6 extra points. So, if you add them all up, in this rather typical NFL game, there were 170 different occasions where the team had to dispatch 11 different players to go fill a responsibility. Since the game was eventually won by a sliver, you can understand that one mistake on any of the 170 plays can alter the outcome of the game. 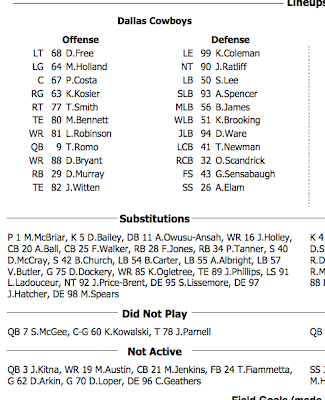 Let's try to remember this game's situation: Miles Austin and Mike Jenkins were two starters who were unable to play. So, Laurent Robinson took all of Austin's snaps and then Kevin Ogletree took Robinson's snaps as the #3 receiver. Mike Jenkins was out, so Orlando Scandrick moved up and then Alan Ball also moved up on the defense to replace Scandrick as the #3 corner. Jon Kitna and Tony Fiammetta were hurt, too, but the other 3 game-day in actives, David Arkin, Daniel Loper, and Clifton Geathers were healthy scratches that were on the roster but not able to make a strong case to dress out because all 3 were developmental players that the Cowboys did not want to risk losing, but also didn't wish to play. So, let's deconstruct the "Gameday 46". The offense takes 73 snaps. Of those 73, the following players took at least 70 snaps: Robinson, Witten, Free, Holland, Costa, Kosier, Smith, and Tony Romo. That is 8 players who played on virtually every snap offensively. Additionaly, Martellus Bennett, Dez Bryant, DeMarco Murray, and John Phillips each played between 40-60 snaps as situational substitutes for various packages the offense wishes to run. Lightly used players (less than 25 snaps) were Felix Jones, Ogletree, and Jesse Holley who had just 1 snap. So, that is 15 players that set foot on the field in Washington as a member of the offense. They also have a group of 5 reserves who never took an offensive snap in this game. That group consisted of Phillip Tanner, Derrick Dockery, Kevin Kowalski, Stephen McGee, and Jeremy Parnell. So, the total offensive players in this game equaled 20. Now to defense. 65 snaps against (68 if you add the 3 cancelled by penalty) and you see that the every down guys were: Scandrick, Elam, Sensabaugh, Newman, Ware, and Spencer. Players with between 40-60 snaps were: Ratliff, Hatcher, and Ball. Then, players who played less than 30 snaps included: Coleman, Brooking, James, Spears, Brent, Lissemore, Butler, Albright, Church, McCray, and Walker. 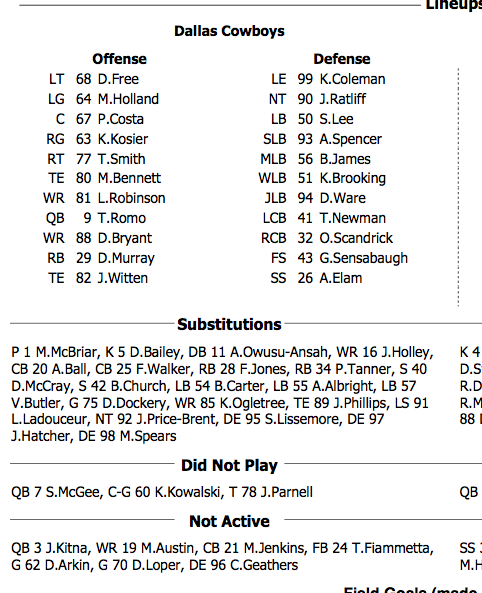 So, in all, 21 different players played a defensive snap for the Cowboys on this day. Add in Bruce Carter who did not take a snap and the total defensive number is 22. Then, you add those players who are simply special teams options: Mat McBriar, Dan Bailey, Akwasi Owusu-Ansah, and LP Ladouceur and there are the final 5 players. 20 offensive, 22 defensive, and 4 specialists gives you your magic number of 46. If you were Cowboys' special teams coach Joe DeCamillis, here is a list of players you would not be allowed to consider for special teams due to the large number of snaps that they take on offense or defense, player makeup (OL don't cover punts, veteran players don't have the suicidal tendencies often to be good contributors), and overall value to the team: Romo, Witten, Bennett, Robinson, Bryant, Free, Holland, Costa, Kosier, Smith, Murray, Jones, McGee, Kowalski, Dockery, and Parnell from the offense. Defense places the following players off limits for similar reasons: Ratliff, Coleman, Spears, Hatcher, Ware, Spencer, Lee, Brooking, James, and Newman. That leaves the following players as candidates for Coach D: John Phillips, Phillip Tanner, Jesse Holley, and Kevin Ogletree from the offense. But, on defense, he has 5 players he can use full-time: McCray, Church, Albright, Butler, and Carter. And then he fills in the gaps with guys he cannot use in all situations, but rather picks 1 or 2 special teams groups and places these players where they can fit: Lissemore, Brent, Elam, Sensabaugh, Scandrick, and Ball. Pretty much had to make the best of what he had, so he put Holley, AOA, Albright, McCray, Church, Carter, and Phillips on all 4 teams. Tanner played on 3, Victor Butler helped out, and then each DB seemed to take a turn on at least 1 team. Now, as games happen, you can see how one injury puts a player on the field and leaves the special teams coach scrambling. You can also see how making big plays on special teams are not always the objective. Instead, we don't want to be the team to surrender them. It is making sure we don't make that big mistake that could cost the team a win. Bruce Carter stopped one long Brandon Banks return in the 2nd Quarter, Mat McBriar stopped Banks another time, but both were huge returns that could have gone all the way. Banks is 5'7, 155 of pure speed. Tired players covering kicks and punts is a horrible combination late in a game. You simply must have players you can trust on those teams. But, those players who were on all 4 special teams are generally at the very bottom of the roster and most replaceable. Very low paid employees who must earn their keep each week. But, that is the job of the NFL special teams coach. And we haven't even discussed having a game-winning field goal blocked at the end of a game like the Giants did in Week 14. These are very real concerns and considerations in the war room. If you are trying to look at the roster and draw conclusions, you better spend some time pondering special teams and the ability for certain players to be contributors while others simply cannot. In a pinch, everyone must be ready. If there is an injury in the 1st Quarter, are you prepared to ask the 44th guy on your roster to cover kicks against Brandon Banks or DeSean Jackson with your season on the line? One month ago, you could have given me an infinite number of guesses about what would be my top reason for getting mail this preseason and I never would have guessed it would be an undrafted candidate to be one of the smallest men in the NFL, Cole Beasley. Beasley has generated headlines in June, July, and now August. In June, news from Organized Team Activities was this tiny slot receiver was having his way against the Cowboys defenders. In present times, the media is stationed nearby and must report on every detail - even in June - and often time they would get the fans worked into a frenzy about someone who has very little chance to make the team or play professionally. But, what else would you discuss at OTA's? Then, in July, there was talk about his spot on the roster and in the plans. Given his SMU ties, he was interviewed about other smallish WRs that have flourished in the NFL. Wes Welker has a very similar body, but when asked about him, along came more headlines: "I get tired of it a little bit because I feel like I have a little bit more speed than Wes Welker does," Beasley told KRLD-FM. "He's got a little bigger frame than me, but I feel like I've got a little more versatility to my game than he does." But, August has been his finest work. On August 3rd, at the end of the first week of training camp in Oxnard, Beasley left the team for personal reasons. Jason Garrett explained the situation by relaying a conversation where Cole indicated his heart was just not in it anymore. He wasn't sure he had any desire to play football. The team gave him some space and a short amount of time to clear his head and change his mind. They thought he would be right in the mix for a job until the end, but they are also not unfamiliar with the grind of training camp messing with the mind of a rookie. Does he really want to be here? Does he care to take the beating of football any longer? That, of course, is a very big concern for someone this size. The Cowboys have him listed at 5'8, 177, and that makes him the lightest player on the training camp roster. In fact, Chris Jones, the punter, is 6'0, 208 and will likely go several weeks between personal contact. Dan Bailey, the kicker, is 6'0, 189. When the punter and kicker have more size and mass than you, and you are expected, if you are lucky enough to get a job, to cruise through the secondary and receive a hard hit every time then you can understand the concern. The desire to take a beating is both necessary and enough to have some people wonder if you need a mental evaluation for being insane enough to sign up for that. There are certainly players that are about his height. And, there are players who are about his weight. But, the combination is what frightens you about his ability to take the beating on an NFL Field. Wes Welker and DeSean Jackson may be the prototypes, but that should not mean that other 5'10, 180 humans have what it takes to play in the NFL because we have found very few cases of it. They are surely a very rare outlier, and the odds of finding the next from that collection are extremely long. But, beyond the questions of whether he is mentally up for the punishment he is signing up for, and physically able to survive the beating that the position requires, we obviously have far more complicated matters if we look at this from the Dallas Cowboys point of view. Can he be that slot receiver that you desperately need? Can he replace Laurent Robinson and his 11 touchdowns or be some version of Wes Welker - a guy who has caught over 110 passes in a season 4 different times? Of course not. Don't be silly. But, can he stake his claim as one of the 5 best wideouts the Cowboys have in camp? That is far more reasonable. In 2007, the Cowboys kept 6 receivers for Week 1, but as a general rule, 5 is the number. With Dez Bryant and Miles Austin already givens, that leaves 3 spots available to all of the candidates. And of the group of Andre Holmes, Kevin Ogletree, Dwayne Harris, Danny Coale, and Cole Beasley, it seemed he started camp in 5th place where only the top 3 get jobs. But, now? It is admittedly too close to call. Holmes helped himself in Oakland, but has had very uneven moments at camp to say the least. However, he is always going to be 6'5 in this conversation. Ogletree is the least exciting to fans, since they have heard his name since 2009, but there are reasons to believe his game is coming together as a slot guy. But, he has no special teams skills. Harris is another player that brings plenty of intrigue, versatility and a college resume that jumps off the page. Beasley wows you with 255 college catches for 2,959 yards and 14 Touchdowns at SMU. Harris counters with 268 catches and 3,001 yards and 20 TDs at East Carolina. But, while Beasley returned 5 kicks and punts at SMU, Harris has a return man resume of over 100 kicks and 50 punts in college. And then, Danny Coale, the highest pick of them all, has hardly made any impressions during 3 weeks of training camp because of injury, but when you are selecting who to keep, you are not being wise to make a 5 year decision based on 3 weeks. As a receiver, you only have to watch the 4th Quarter in San Diego to see what Cole Beasley is capable of. He caught a pass from Tony Romo in the 1st Quarter for 14 yards, but other than that, all of his statistics were from the final 15 minutes of the game. In fact, with 57 minutes played on Saturday night, Beasley had 3 catches for 47 yards. But, in the final 3 minutes with Rudy Carpenter, Beasley was the intended receiver on 5 straight plays. 4 were catches for 57 yards before he fell on the ball and left the field for his now-famous vomiting episode. Otherwise, you certainly cannot count out the possibility of Carpenter to Beasley ending up in the end zone in the final moments. He clearly has a wiggle about him. He runs tight routes and has sure hands. He then seems to have that trait to stay out of harms way with quickness and a smaller frame working for him as he weaves around much bigger players. He might be the mulligan they always wanted since seeing Danny Amendola turn into the player that they thought he could be when he spent the 2008 season in Dallas on the camp roster and then the practice squad. Amendola was another version of "the next Wes Welker" after his great success at Welker's school, Texas Tech. He has since gone on to be a very nice find in St Louis. But, Amendola, Welker, Jackson, and even Harris have one thing going for them that Beasley does not. They were and are all special teams weapons. Everyone in that group was the regular returner on punts, kicks, or both in both college, the pros, or both. But, at SMU, Beasley returned 4 punts and 1 kick in 4 years. He is just learning the complicated craft right now. They are not in the business (most of the time) of finding good stories of human interest and local significance. They are trying to find the 53 most useful players that are at their disposal. Each roster has 53, but can then bring 46 to game day. This carries very little interest to the average fan, but for coaches, making sure you have the proper 46 dressed is vital. Generally (and I plan on covering this concept in depth later in the week), teams will not ask starters to play special teams. There are few exceptions, but that is the general rule. So, 22 players are off the list. Then, backup QBs, OL, and DL seldom play special teams, either. So, subtract another nearly 10 players. Then, you can only use your punter, kicker, and long snapper for those specific roles, so on things like punt return and kick return, they are not candidates. And that might bring your number all the way up to 35 players are earmarked as being non-candidates when Joe DeCamillis is finding what 11 are going on the field to return this punt. So, 46 players minus the 35 who are not options leaves DeCamillis no choices. The 11 guys left are going to be what he has to work with. And making sure no catastrophes occur can often separate winning from losing and playoffs from not. Can he cover kicks? No. Can he cover punts? No. Can he block for another returner? No. So, if Dez Bryant is really your punt returner - as Jerry Jones indicated a few weeks back, and Felix Jones is going back to kick returns, then the Cowboys don't have a vacancy at returns. And if they did, Harris would be the obvious choice. Wes Welker returned 104 kicks and punts in 2004, 104 more in 2005, and another 89 in 2006. Without 300 returns, Wes Welker is likely never afforded the chance to become Wes Welker in 2007 when he got to New England. There are plenty of things working against Cole Beasley. One thing NOT working against him is fan support. No undrafted camp body has had this much support from the fan base in years. And his performance on Saturday surely turned some heads. It was a huge game - in fact, the biggest since.... Dwayne Harris last August! Harris caught 5 passes for 127 yards and 2 TDs on August 11th of last preseason. And then he barely made the roster out of camp as a 6th round pick largely because he could play special teams. I think this is a very interesting decision that will come down to the final hours of camp. 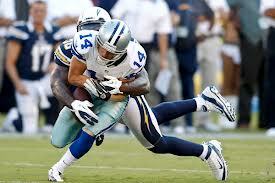 Can the Cowboys figure out a way to keep Beasley, strictly as a wide receiver? Or, can they put the huge responsibility of returns in his hands despite the fact that he might be doing it for roughly the first time in his career at Giants Stadium in 2 weeks time? I believe it comes down to Dwayne Harris versus Cole Beasley. If so, I still expect Harris' versatility will get that spot. But, I am happy to admit that it is much closer than I anticipated 2 weeks ago. And the plot thickens the closer we get to the finish line.